Can You Lose Weight from Eating Less Salt? 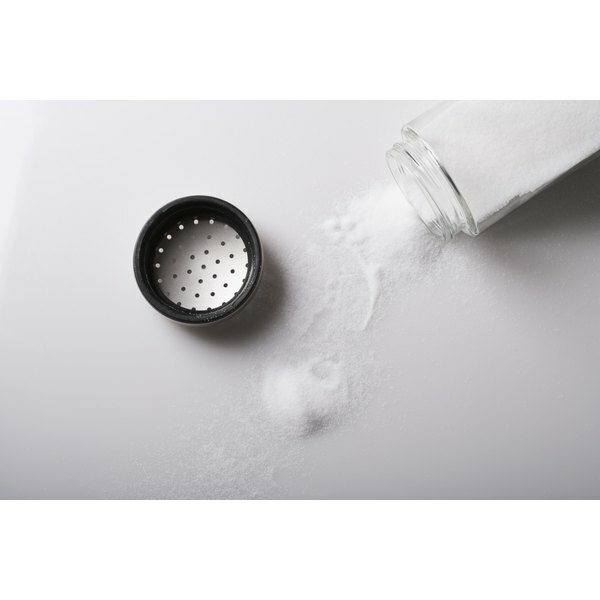 While a craving for salt can be indicative of a variety of physical disorders, it is an especially recurrent symptom among those suffering from hypothyroidism, also known as an under-active or low thyroid. The Mayo Clinic defines hypothyroidism as a condition that disrupts the body’s chemical equilibrium when the thyroid fails to maintain necessary hormones. Hypothyroidism negatively affects the body’s ability to absorb both sodium and magnesium, according to Dr. Ray Peat, a contributor to Thyroid Info online. A craving for salt is the body’s cue that it wants more. When we respond, the consumption of additional sodium increases the production of the hormone aldosterone. Aldosterone helps to regulate sodium levels in the body and it curtails the loss of magnesium. Magnesium makes the body’s cells more receptive to hormones produced by the thyroid. When low levels of aldosterone cue the kidneys to excrete salt, this causes an increase in urination, excessive perspiring and thirst. When the kidneys fail to retain necessary levels of sodium, low blood pressure results, causing dizziness and lightheadedness. The body will struggle to maintain levels of sodium and when it is unable to do so, significant fatigue may occur. Adding salt to the diet is recommended. Sea salt has proved especially beneficial because it contains trace minerals that ordinary table salt does not.